Home Tags Posts tagged with "health expo"
In this article – featured in our recently released Summer 2018 issue – Patrick Holford shared his thoughts on the upcoming Vitality Expo, set to take place in the RDS, Dublin, on the 8th and 9th of September. This September, Dublin’s RDS will play host to the amazing Vitality Expo 2018, brought to you by Health Stores Ireland. The Expo will be dedicated to all things health-related, with a diverse array of wellness, lifestyle, fitness and nutrition talks being delivered by Irish and international speakers and natural health brands. The passionate organisers behind the Expo are proud of the fact that this event is Ireland’s only consumer and trade natural health exhibition. Here, you can learn about exciting new products and remedies, meet natural health suppliers, discover the latest natural health trends, and obtain expert advice from the many well-known figures who will be in attendance. Ahead of the Expo, I met with the nutrition expert Patrick Holford, who will be delivering two talks as part of the event. I was struck by his great passion for improving people’s quality of life. He told me that one of the greatest privileges of his career is being approached by people who are eager to share their stories of how his nutritional tips improved their health. Patrick Holford’s career began in the 1970s, when he trained as a psychotherapist. As his career progressed, he developed a special interest in the areas of boosting intelligence and treating schizophrenia. 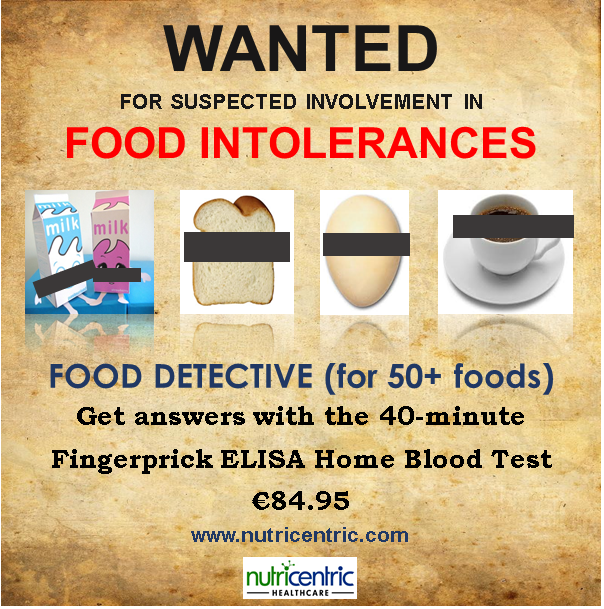 After learning about the promising results nutritional trials had yielded in this area, he went on to study nutrition in greater depth, and founded the Institute of Optimum Nutrition in 1983. His bestselling nutrition and health titles have included The Optimum Nutrition Bible and How to Quit Without Feeling Sh*t.
The latter title touches upon a subject that has become increasingly important to Patrick in recent years: helping people to tackle their addictions. He believes that we can be addicted to many things: not just substances that commonly come to mind when addiction is mentioned – such as narcotics, prescription medication, or alcohol – but also things like coffee, sugar, and our phones. Technology addiction is increasingly prevalent in modern society. Whatever our addictions are, Patrick believes that appropriate nutritional therapy can hold the key to solving the problem. Patrick is determined to empower people to take control of their own health. 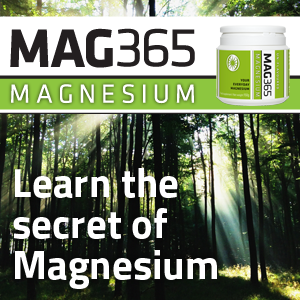 He does this by presenting clear evidence – backed up by rigorous scientific studies – to show that appropraite nutritional intervention can make an enormous difference to our energy, mood, and overall wellbeing. To learn more about Patrick’s work, go to patrickholford.com. He will be discussing the effective treatment of addiction, cancer and other health issues in greater depth at the Vitality Expo 2018, set to take place on September 8th and 9th in the RDS, Dublin. The Vitality Expo will feature an exciting array of expert speakers from around the globe. In addition to Patrick Holford, the Expo’s Vitality Stage will play host to Alison Canavan, Vivienne Campbell, Rachel and Hannah Dare, Dr. Robert Verkerk Ph.D, Phil Beard, Dr. Sarah Murphy, Jessica Hatchett and Fiann Ó Nualláin (a bestselling author, horticultural therapist and community gardening advocate). All of the talks will be hosted by nutritional therapist Jemma Kehoe. Some of the confirmed exhibitors include Abundance and Health, Altrient C, Hifas Da Terra, Creacon Wellness Centre, Dr. Mahers skincare, Emma’s So Naturals soya candles, Genovese Pestos, IINH, Macánta, NaturaLife, Optimal Brain, Pharma Nord, PPC and Sun Chlorella. Many other companies will be present at the Expo too, offering a wide range of products to help boost your wellbeing. Be sure to check out the Vitality Expo’s website or Facebook page to stay up-to-date with all exhibitors, as they are confirmed. The Expo will will also feature a Food and Cookery Stage. Here, you can experience the best of wholefood cooking with chefs like Marie Power, Henrietta Norton (founder of the amazing natural supplement brand Wild Nutrition), Oliver McCabe and Susan Jane White, to name a few. The Outdoor Entertainment Area is another major highlight, offering live music, yoga and pilates sessions, as well as a kids’ area where they can practice some moves too! At The Village, you can sample tasty delights from over 100 artisan and local health food producers in the Irish marketplace. Keen to learn about new holistic therapies, book a psychic reading, or receive some much-needed healing, all under one roof? If so, the Health, Wellbeing and Natural Therapies Expo is for you. 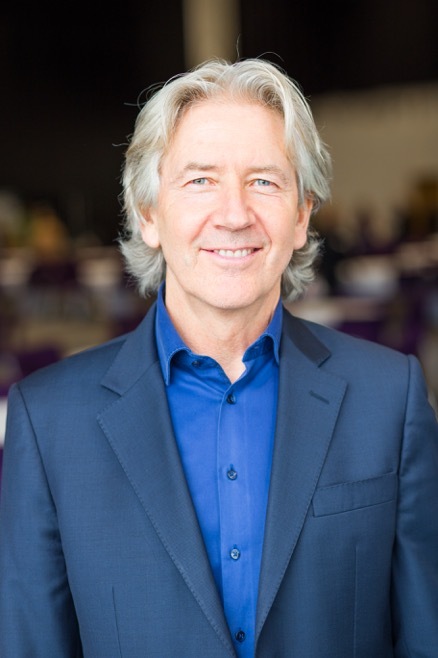 On Saturday April 28th and Sunday April 29th, Hall 4 in the RDS, Dublin, will be buzzing with the many talks, workshops and special events of this wonderful Expo, including a visit from the famous “gazing guru”, Braco. To learn more, visit the website or Facebook page of Body Mind Soul Events. You can book your tickets through this link. There are components of the body, mind and soul that contribute to the flow of energy at each level. And there are ‘bridging mechanisms’ which contribute to the overall balance and flow of energy between each level. In other words, there are things that we do in each moment that facilitate or go against our natural flow. 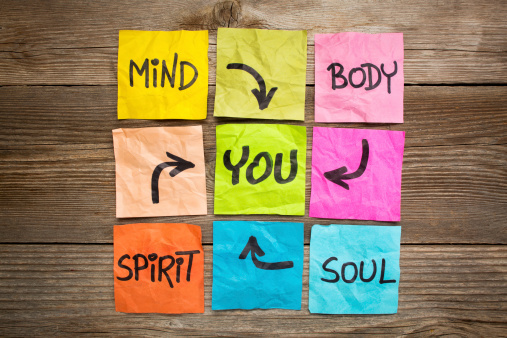 The body, our outer shell, is a product of both the mind and soul and how it is cared for on a daily basis. 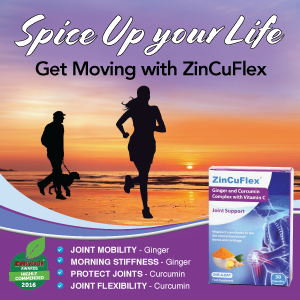 The body’s magic formula for survival –sleep, diet, environment and exercise – can be used to prolong life or shorten it. The next level is the mind, the interactive mechanism between the body and soul. The mind registers and filters emotion (the language of the soul) and registers nerve impulses generated by the body. The degree of communication between the body and mind, and soul and mind depends on your ability to manipulate your mind to work for you. When the mind is functioning as intended, it is self-aware, focused and quiet as required. So the mind has two choices: to block out sensation or to listen to it. If the mind is smart, it listens. The soul is ultimately responsible for giving the body its life force. In subtle ways, it guides and directs our behaviour and actions in the physical form. When the soul chooses to leave the physical body, the body perishes. The soul is driven by wisdom, love and universal service. The Expo is set to take place in Hall 4 of the RDS, Dublin, from 10.30 a.m. to 7.00 p.m. on Saturday the 28th, and 10.30 a.m. to 6.oo p.m. on Sunday the 29th of April. Go to their website or Facebook page to learn more. Braco is known as the Gazing Guru, renowned for his startling ability to heal and comfort people using nothing but his loving gaze. This April, he will be visiting Dublin for the first time as part of the Health, Wellbeing and Natural Therapies Expo in the RDS, Dublin, on the 28th and 29th of April 2018. You can go to facebook.com/BodyMindSoulEventsIreland to learn more about his appearance at the show. Below, we share an interview that we conducted with a member of Braco’s team ahead of his visit to Ireland. The extraordinary Braco has touched hearts all over the world with his understated, heartfelt approach to assisting people’s spiritual growth. Born in 1967 in Zagreb, Croatia, Braco initially pursued a conventional high-achieving career. However, his life changed forever when he met the great healer Ivica. Their supportive friendship helped Braco to find peace, harmony and a profound sense of purpose. Following Ivica’s death in 1995, Braco began to follow in his footsteps by aiding the people of his community in any way he could. Braco’s peaceful Gaze and his powerful Voice have since brought comfort and solace to spiritual seekers in Germany, the United States, Mexico and many other countries. He will be visiting Dublin for the first time as part of the Health, Wellbeing and Natural Therapies Expo in the RDS, Dublin, on the 28th and 29th of April 2018. Is Braco happy to be visiting Ireland for the first time? Braco is very happy to be visiting Ireland, as he loves the beautiful nature that your country offers. Ireland will be the next country to experience the silent gaze of Braco – this is very exciting for every one of us! Until now, Irish people could see Braco’s gaze online via live streaming, but now he is coming to you in person. I believe that this visit is no coincidence and that it can develop into something very beautiful for all involved. And I hope that your people receive much happiness, joy, peace and lightness through Braco’s gaze. Braco has visited many countries around the world. What are some oft he most powerful healing moments that had happened during his travels? For Braco, his mission is gazing and sharing his gift. He visits different countries in Europe, among them Germany, Austria, Switzerland, Hungary, Holland, Finland, Portugal and Denmark. Braco has also gazed in Mexico, Japan, Israel, Australia, Russia, Dominican Republic and in 41 cities of the United States of America. He received a Peace Pole in New York in 2012, where he was introduced as an Ambassador of Peace, and he got the title Ambassador of Peace and Light at the Dominican Republic recently in 2017. Obviously, people experience a strong sense of peace when meeting Braco, and that is why they come to live and online events regularly. There are more than 100 DVDs with testimonials about the impressive life improvements of visitors of Braco events from all over the world. There are also many videos on our official Youtube channel. At the upcoming event in Dublin each visitor will receive a free Braco DVD with each ticket, which is itself a powerful way to connect with Braco. The most impressive moments have been when people started to feel happy again after many years, just like a strong man who attended an event and began to cry out of love after 50 years of not having cried. Even celebrities like Naomi Campbell, Matt Bomer and Donna Karan have found a deeper meaning in Braco’s gaze. What are some of the most commonly reported healing impacts of his Gaze? Hmm, this is not an easy question. The only thing we can say right away is that the gaze seems to work with people regardless of culture, religion, nationality, lifestyle. It simply does not care about our differences, and reaches us where we are simply humans. The testimonials are very diverse, but numerous people report an improvement in their health, as this is what they can see first. Later, they see that other, more subtle things in their life, such as their family and their environment, somehow have begun to change. Many start to feel continuous peace and become stronger. The strength which people develop after a few years of gazing with Braco can be seen in their eyes at the events. People say they lose their fear more and more with every gazing, and fear is a big problem today, especially in the younger generation. Today, many are searching for happiness and something that will save them. But everyone has to work on oneself. No one can help us if we don’t help ourselves. Braco is here to support our personal journeys. How does Braco live his daily life these days – for example, what are some of his meditation routines or habits? People who have been with him for some time are impressed by his naturalness, modesty and inner strength. He lives a normal life as a family man with his wife and a son, enjoys being with friends and loves nature, especially the sea. He gives most of his private time to the people who come in large numbers in many countries of the world to meet with his gaze. He feels this is his life’s task: to share his gift through his gaze. He has no special meditation praxis. How does Braco hope to continue sharing and expanding his Gift in the future? Further details about Braco’s visit are are available at: facebook.com/BodyMindSoulEventsIreland. 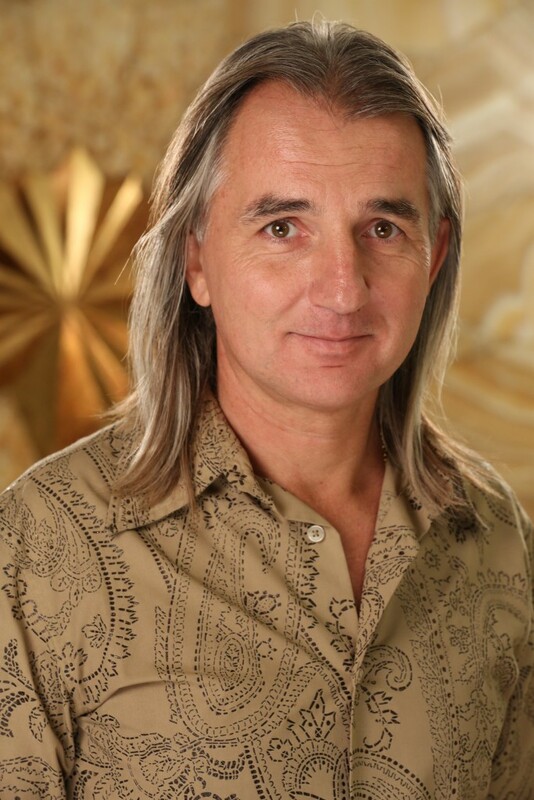 To learn more about the mysterious gazing guru, be sure to check out his website, braco.me.